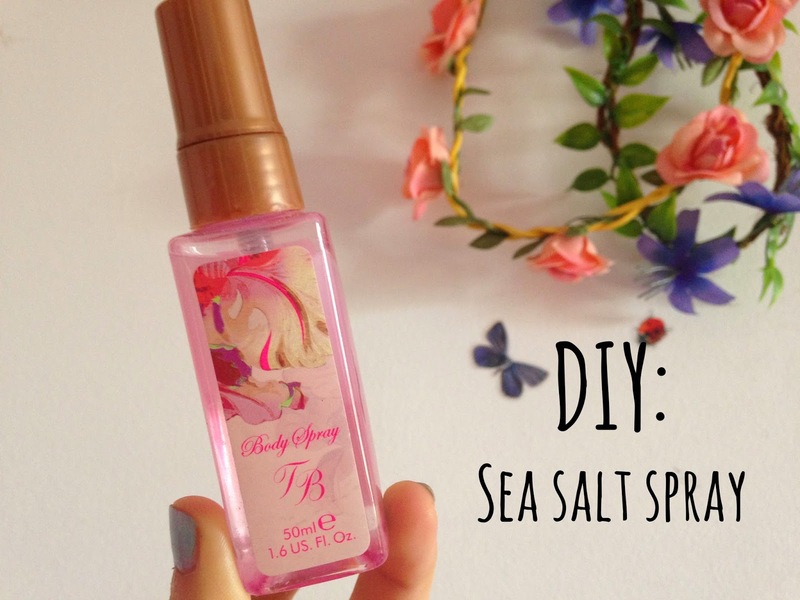 DIY: Sea Salt Spray! | RAWR BOWS. Hello there! If you haven't heard of any sea salt spray this summer, where have you been? Everybody seems to be obsessed with them and to be honest I didn't understand why so I decided to try it out and see the effects myself. However, why spend money on something you can easily do yourself? Here's how to make your own sea salt spray!! Start by filling a glass with water and put it in the microwave for about 30-40 seconds just to warm it up. Then, add half a tablespoon of sea salt and stir until it's all dissolved and well mixed. Finally, add about two pumps of your favourite conditioner; this will make it smell nice and will help your hair as salt can make it very dry. The bottle I used already had a cute label so I didn't decorate it or anything but if you want you can do it, just make sure to create a layer of tape to make the paper waterproof. I have wavy/curly hair naturally and I'm not a fan of how my hair looks after applying my sea salt spray but it does give it quite a lot of volume and makes it a bit curlier. Have you ever tried any sea salt spray? What did you think? It is a good idea. Doesn't it makes you hair drier?